The news this year that retailers like Amazon might be banning shoppers for returning items too often launched a huge media storm and sparked a debate about how many returns, exactly, constitute “too many”. Does returning 20% of orders count as excessive? How about 50% Or 80%? Are there different categories of items where it’s more understandable to return items than others? And what will this mean for shoppers as online shopping increasingly replaces offline? I do most of my clothes shopping online these days. Actually, I do most of my shopping online, period. I hate malls, my time is limited, and the selection and prices are much better online than off, especially here in Quebec where our retail options are limited. When it comes to clothes, I buy pretty much exclusively online, because that’s where petite-friendly clothes are sold. So the notion that some of my favourite retailers, whom I rely on for clothing basics, could potentially be tracking my return habits and might ban me if I overstep? Even if I’m respecting the store’s return policy? Well, that’s strikes me as more than just a little unfair. A costly problem? Or just a sign of the times? See, when it comes to clothes, isn’t buying and returning just a function of technology? And a side effect of a deliberate push by retailers to move shoppers online? 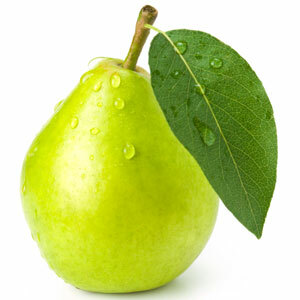 E-commerce, overall, provides enormous cost savings for retailers. They don’t need to pay rent or overhead, or staff their retail locations. They can move shipping and distribution to centralized warehouses where land values are cheap. While e-commerce costs more in technology and shipping, retailers are saving millions in offline costs. This is why we’ve seen so many of them close stores and push customers online. It’s worth a fortune for them. However, one of the side effects is that return rates are going to be higher. If you can’t try before you buy, then you’ll be forced to buy and then try. After all, when people shop for clothes in physical stores, we’re used to taking a big pile of stuff with us into a dressing room to try on. Out of those items, we might end up with one or two things we like well enough to buy. The rest goes back on the rack. 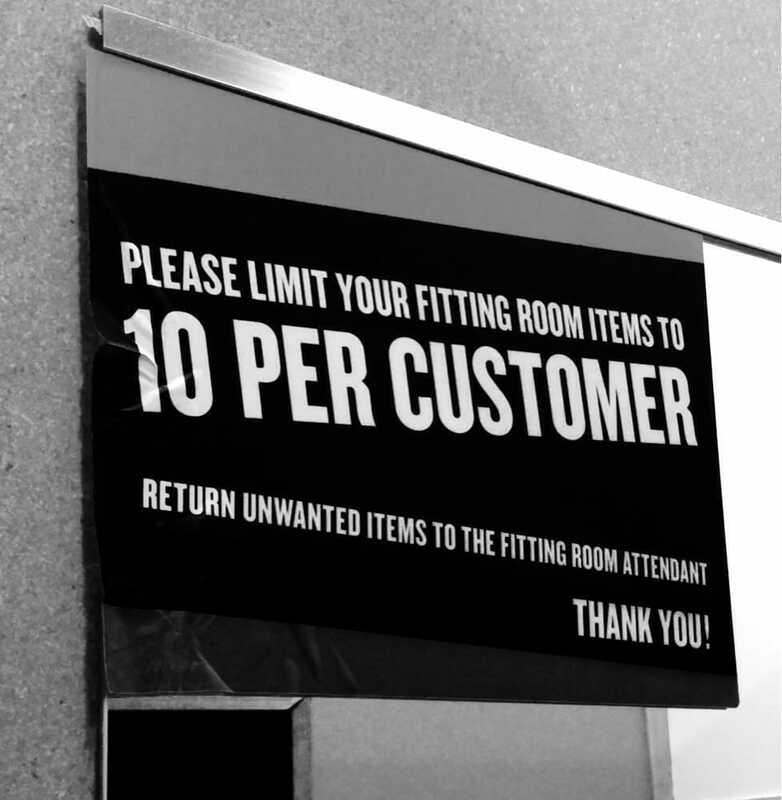 Even in stores where they impose limits on how much you can try on at a time — ostensibly to cut back on shoplifting — usually all you have to do is swap out items as you go along and try on in batches. There’s no obligation to actually buy anything unless you like it. I don’t have any statistics handy, but from my experience working retail back in college, I’d say that most women will buy maybe 5-10% of the stuff they try on, at most. Sure, the occasional customer would walk in, try on three items, and buy them all. But that was rare. More often than not, they’d ask for a pile of things to try, and end up buying one. Or none. However, as more and more retailers have closed physical stores and moved their collections mostly or entirely online, the option to try before buying is disappearing. When you shop online, you’re taking a chance — on fit, on style, on fabric, on whether the clothes will look as good on your body as they do on the (usually tall, leggy) catalogue model. For petites, this is even trickier, since typically our bodies don’t look anything close to the ones modelling the clothes. And even customer reviews often aren’t helpful, since they usually come from taller customers who probably don’t share our fit issues. 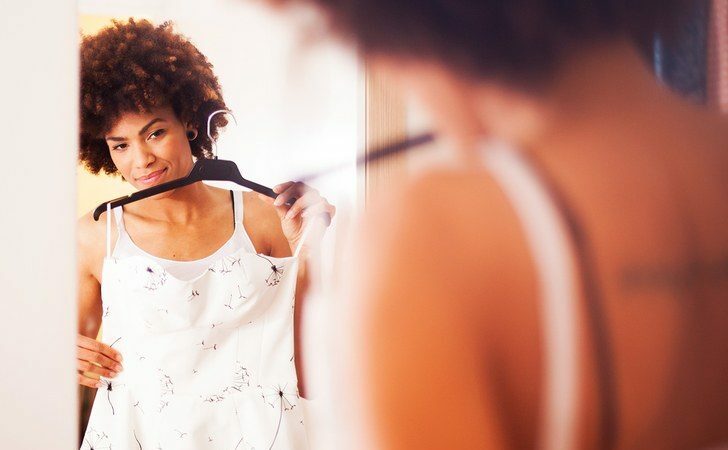 As we petites know, finding a piece of clothing that actually fits is tricky. And rare. Here’s the rub: The percentage of stuff we expect to keep hasn’t changed from the dressing room to the buy-try-and-return method. But if we buy and return too much, we’re being told, we might be flagged as “problem” customers. Even though nothing has changed except the fact that we had to shell out up front for stuff that we haven’t even had a chance to try on yet. Well, for one thing, because we petites have even fewer options to try on in store than our taller counterparts do. Most retailers that even carry petites have relegated them to online-only, choosing to stock only regular sizes in store. If you want petite (or plus, or tall), you usually have to order it online, whether you want to or not. Want to wander into your neighbourhood store on a whim to try stuff on? Not an option anymore. Stores like Banana Republic used to have large petite sections. These days these collections are almost exclusively available online. The years when I could walk into a store here in Montreal and try things on at my leisure are long gone. Even my semi-regular shopping trips to New York aren’t worth much anymore, as the flagship stores there have cut back on their petite offerings so much as to be worthless. 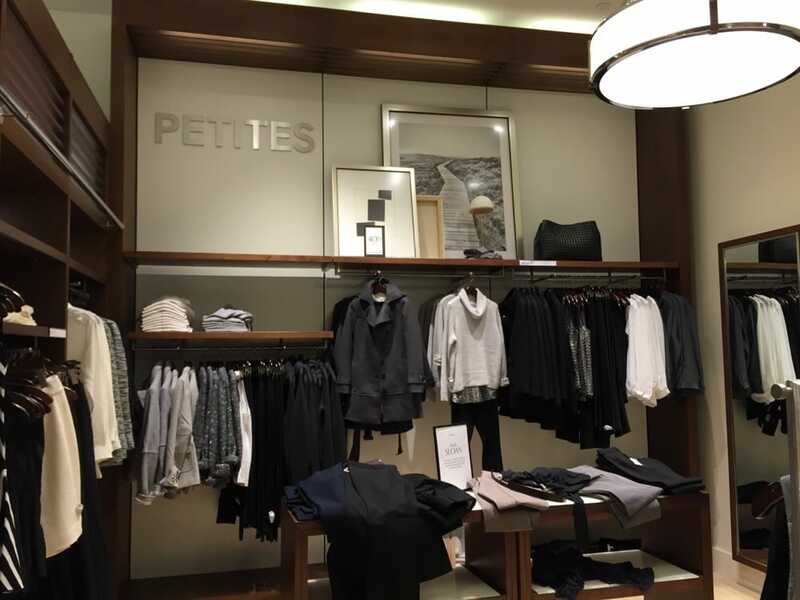 Macy’s in Herald Square used to have an entire floor dedicated to petites. Now they have only a handful of petite items scattered among the regular sizes. Recent statistics show that 75% of clothes shopping still takes place in brick-and-mortar stores. But for petite women, I’d venture a guess that this number is much, much smaller. For me, it’s close to zero. 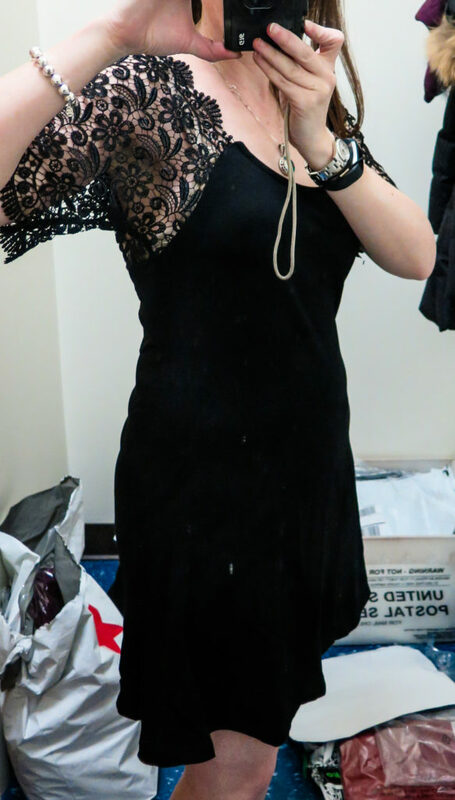 There are simply no local stores in my city that carry clothes that fit me in the store anymore. So perhaps we petites — along with anyone else wearing so-called “special” sizes — will be feeling the brunt of these return ban policies sooner than the mass market will. Also, we have fewer options for where to buy clothes altogether. Many may not be in our home city or, in the case of us Canadians, even in our home country. There’s simply no way to access many of the petite clothes from US or UK-based retailers without buying online. I can count the stores where I can find clothes that fit me easily on the fingers of one hand. If any one of them were to ban me from shopping there, I would have few to no alternatives. I’m basically at their mercy. When I ship to the border, I typically will end up keeping somewhere around 20-30% of stuff I buy, and returning the rest. This is obviously not ideal — not for me, not for the place I’m shopping from. For me, I have to drive down to a shipping depot, pay $5 US per received package, spend time trying things on in a tiny airless dressing room with bad lighting, and then spend more time filling out and printing return labels and packaging stuff up to send back. Then, I have to track my returns, wait weeks for the refund to appear on my credit card statement, and chase down any issues with it. All that is time and money I could have been spending doing other stuff. Trying on clothes at my ship to the border depot, and returning those that don’t fit. This has replaced the in-store dressing room in most cases. That means that this is just the way we shop now. And it’s because fit is so tricky and so subjective. Without the opportunity to try before we buy, we’ve all been forced into this behaviour. 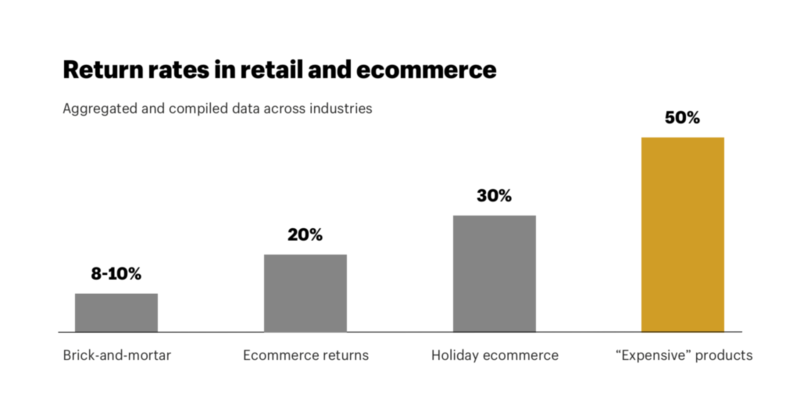 Returns are obviously a problem that everyone — customers and stores alike — are trying to crack. But despite these efforts, return rates aren’t coming down — in fact, they grew by 94.8% over the past 5 years. This seems like a problem with no end in sight. Nonetheless, the data supports what I already inherently know as a shopper: Return policies affect sales. That is, I generally won’t buy from a store that doesn’t offer free or easy returns. The reason is simple: I don’t want to risk being stuck with clothes that don’t fit or flatter me. Stores that charge for returns, or create too many hassles in returning items, won’t see my repeat business. Can technology provide an answer? Not yet, but, well, maybe. There are some companies experimenting with ways to make this easier. Try is an app that allows shoppers, for a membership fee, to try on items from select retailers risk-free for 7 days and only pay for what they keep. Good concept in theory, but so far it’s only for US shoppers, and only works with a very limited number of retailers. 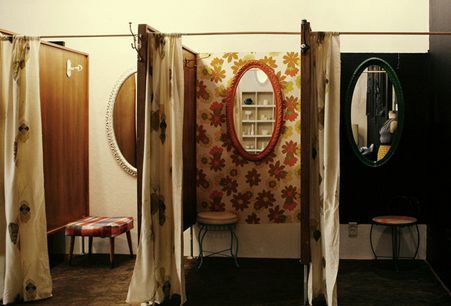 Another potential solution is the virtual fitting room. The theory is that you upload photos of yourself that are used to create a 3D model of your body, which can “try on” clothing on a website or via a “smart mirror” to show what it would look like on you. This technology has been talked about for a while, but it hasn’t really taken off yet, possibly because it simply isn’t very good. In theory it sounds nice, but the logistical challenges of getting to a point where it would work convincingly with all clothing are astronomical, so I doubt we’ll ever see this being mainstream. Ultimately, what will really help retailers with the problem of costly returns will probably be on the logistics side, with advances in shipping and transport technology. This is where Amazon, for instance, is spending most of its time, though the promised delivery drones are probably never going to happen. In Canada, shipping is a particular problem and costly headache for customers and businesses alike, limiting the growth of e-commerce and probably hindering our economy. The usual excuse is that we’re a big country, sparsely populated and spread out. But the truth is that most of us live in big cities concentrated within an hour’s drive of the US border, so for most Canadians, this really shouldn’t be such an issue. But it is. But as e-commerce gradually chips away at brick-and-mortar shopping, this is going to become a bigger problem in need of a solution. Let’s hope the tech community steps up, so that we petites aren’t left out in the cold.